Besides the much-awaited Google Pixel 2 XL launch, the tech giant announced Pixel 2, Pixelbook and Google Home Mini smart speaker. 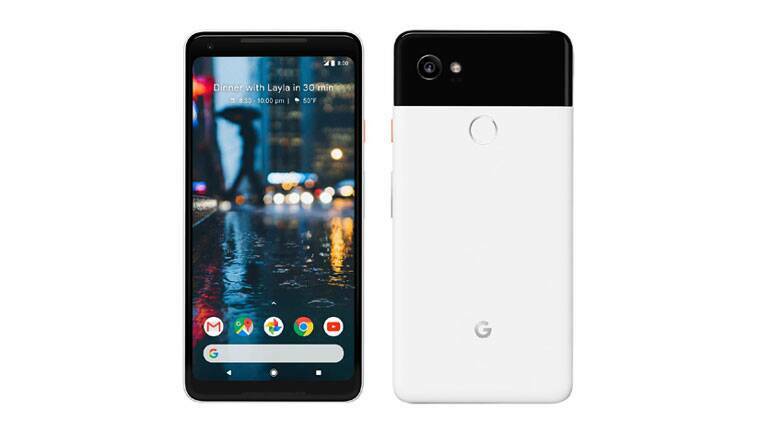 At Google Pixel 2 XL launch event, the company introduced the incredible specs and features of the smartphone. Not only this, the search giant also unveiled its Pixel 2 lineup on the same platform. In one of our July posts, we called the Pixel 2 XL’s minimal bezel display flawless. Now, let’s find out what surprises Google actually has planned out for its users. October has already started and the smartphone companies are gearing up to announce their latest flagship devices. 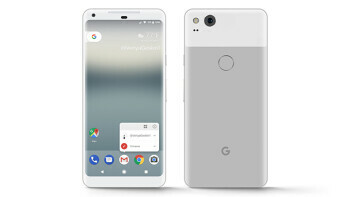 Pixel 2 is the first-ever dust and water resistance smartphone of Google sporting a beautiful glass and metal sandwich design, wherein the body comprises of metal and a little portion of the back side and the camera sensor is covered with glass. The IP67 certified device with prominent bezels around the corners has a display aspect ratio of 16:9. To be noted, Pixel 2 has got only one rear camera sensor instead of two. The smartphone showcases a 5-inch OLED display with Full HD screen having a resolution of 1920 x 1080 pixels. It will be available in the appealing hues of black, kinda blue and clearly white. The AR stickers already included in the camera app will let you express yourselves in an exciting manner. Its AR-optimized camera will take your Augmented Reality experience to a whole new level. The camera can take perfect and sharpened shots even in low-light conditions. Also, its portrait mode is the mantra to capture the best pictures in a blurry background. It further has digital image stabilization and OIS and the 8MP front camera promises to give amazing shots. In Pixel 2, the users will be gifted unlimited Google cloud storage capacity where they can download any number of pictures and videos. The smartphone also gets pressure sensitive edges which we saw earlier in HTC’s U11 model. Similar to last year, it has Vanilla Android Oreo packed with many lovely features. The Pixel 2 units will get launched in six nations including Australia, India, US, UK, Germany, and Canada. The manufacturer of Pixel 2 XL is LG, whereas it was HTC in case of Pixel 2. The smartphone flaunts ultra-thin bezels around the corner, and undoubtedly, this device is going to be iPhone X’s biggest rival. Flaunting a bigger 6-inch display with a screen resolution of 1440×2880 pixels and an aspect ratio of 18:9, the device bears a cheaper price tag as compared to Apple’s latest smartphone releases. It can be availed in fascinating black and black/white tones by the users. For making the browsing experience more convenient, the search bar that was earlier embedded on home button has been shifted to the display’s bottom. Its ‘Always Display-On’ mode features notifications even if your display is off. Along with an exclusive Picture-in-Picture feature, Google also rolled out AR SDK for developers. Pixel 2 XL runs on a larger battery size of 3520mAh. The device will be unveiled in Singapore, Italy and Spain. Both Pixel 2 XL and Pixel 2 are packed with 4GB RAM and the exclusive Octa-core Snapdragon 835 by Qualcomm. It comes in two variants with 64GB and 128GB internal storage capacity. Both smartphones have water-proof features. They both don’t have 3.5mm headphone jack. While Pixel 2 with 64GB variant will be available at a price tag of $649, Pixel 2 XL can be availed at $849. In case, you want to go for 128GB variant, you’ll have to spend some $100 more to avail the smartphone. The customers who pre-book Google Pixel 2 and Pixel 2 XL will get free shipping of Google Home Mini smart speakers. But sadly, this offer is available for all the above-mentioned countries except India. Sigh! The Pixel 2 lineup showcases an Ultra Vivid OLED display, quickest fingerprint sensor, a Smart Assistant that one can use just by squeezing the edges, Google Lens, premium cameras and AR stickers. To what extent did the Google Pixel 2 XL launch make you happy? Share with us in the comments below.